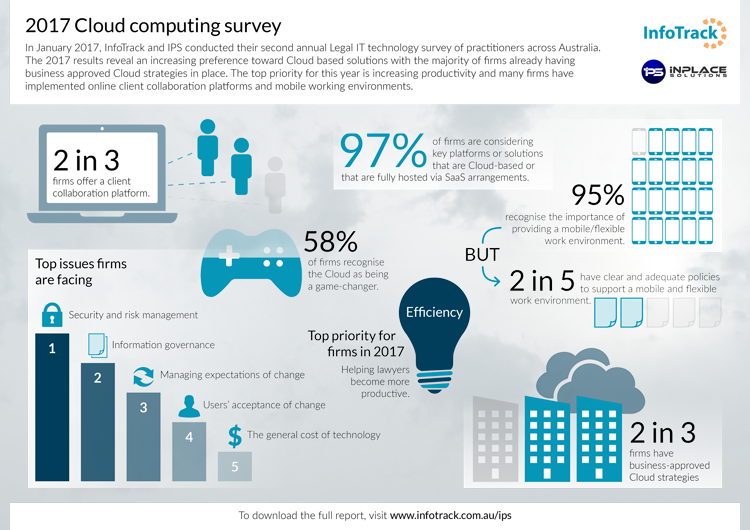 In January 2017, InfoTrack and IPS conducted their second annual Legal IT technology survey of practitioners across Australia. The 2017 results reveal an increasing preference toward Cloud based solutions with the majority of firms already having business approved Cloud strategies in place. The top priority for this year is increasing productivity and many firms have implemented online client collaboration platforms and mobile working environments. Download the report for the full results.